The annual Brighton Pollack Challenge saw me aboard Paul Dyer’s charter boat, Brighton Diver as part of the Sky TV crew at Brighton Marina in Sussex. I had a very enjoyable day with a best pollack of nearly 12lb although I didn’t get amongst the trophies. The fish caught were generally big and a 17lb 3oz specimen for, Dave Dudson aboard Brighton’s, Osprey won the day with three others over 16lb proving how good Brighton is for pollack currently. Read all about the competition in the next sea Angler magazine or watch it on Sky’s Tight lines in the coming weeks. It was noticeable at the event that the usually productive red and yellow Sidewinder lure, the Rhubarb and Custard was not quiet as deadly as it has been with silver, glitter, white and yellow amongst the best lure colours. The plaice continue to show from the beaches throughout the English Channel and the general consensus of opinion is that it’s the reduced quotas for plaice imposed on the commercial fleets that is the reason. It’s certainly a change to see plaice, but I do despair of anglers showing pictures of ten or more dead fish on Facebook. Are we as bad as the commercials – YES I think some of us are! I have not landed a ray yet, not even tried, although several have been reported in my region of Kent. With the current weather they should show from the shore any minute and it won’t be long before I try a frozen sandeel and Bluey fillet wrap. A good tip is to buy your frozen Blueys now because if you leave it until the rays show the shops will have run out, they did last year here in Kent. By the time you read this I shall be in the Gambia for a weeks deserved break, I am fishing a match for three days of the holiday but it’s the break from work I am looking forward too most. Lots of anglers think my life is one long fishing trip, but I spend hours working on a PC and getting out of the office is heaven sometimes. For last minute info on the Gambian three-day beach event contact Bernard Westgarth on: bernardwestgarth@yahoo.co.uk. I am also off to fish the Magrini in Sardinia soon. This International competition in the middle of May is real continental light line fishing, last year my 10lb bs snoods proved too heavy in daylight so this year I am down to 5lb after those mini weavers and breams. However, I must admit I look forward to the company and craic at the event more than the fishing which is considerably different from here at home, makes you appreciate dogfish fishing in the Med!!!!!!!! It’s time to return the summer tackle to your tackle box. A set of feathers for mackerel is standard summer gear, but also add a set of mini feathers with the shrimp and tiny Sabiki designs great for catching sandeel, herrings etc that can be used as bait. A couple of floats can also help you get out of jail when the sea goes flat and clear and only mackerel and GARFISH are around. Slide a float down your main line after casting fishing metres deep and catch a few gars – great fun as they leap out of the water when hooked and another bait for the freezer or the hook. At this time of year anglers fish a lot with a single large bait and the Pulley Pennel rig which is without doubt the most efficient terminal rig to use for the larger species, especially when you want a big bait put at long range, however, there is much debate about using two hooks or one for species that are going to be returned. My solution is to stay with a two hook Pennel rig for the larges baits, but to choose smaller barbed hooks. There are a few of the modern hook patterns that are sold with micro barbs and these are perfect for catch and release especially when you are using the large sizes for bigger species. It’s a shame Fox discontinued their Uptide Power Point FA pattern because they are a superb catch and release hook with their micro barb. Of course an easy answer to this problem is to crush the barb on your hook so that it can be removed more easily. Several additions to the TF Gear fishing tackle range including two new three-piece beach casters. I am particularly pleased with the quiver tip version, the all rounder. See them both plus a whole range of new tackle in the latest TF Gear 2012 catalogue. The Fishtec open day is tomorrow, Saturday 24th March, and preparation has been well under way for the last few days. After the success of the previous open days, this one seems to be hotting up as well as the weather! Visit our HQ in Brecon to witness our ‘one off’ sale day with massive price reductions and warehouse clearance items. Our intention is to clear as much stock at the lowest possible prices you’ll find anywhere on the market. Massive reductions off our ever popular TF Gear bivvys, Two for one on carp and feeder rods and up to half price off TF Gear clothing and bedchairs. 20% off any standard Airflo fly line (excludes multi tips and competition lines), Airflo Delta clothing reductions and special show prices on some fly fishing reels, nylons and fly boxes. View the new item ranges on TFG Sea fishing tackle and receive up to 25% off any TFG Sea reels. Exclusive open day offers will see up to 20% off when purchasing any TF Gear Rod, Reel and Line combo and up to half price reductions on Airflo/TF Gear Fishing clothing and Luggage! End of line items and various sales products will ensure anglers that there will be plenty of fishing tackle bargains to get your hands on. At last, after what seems like an eternity with the lakes frozen solid and snow on the ground, we finally have a thaw. Most of the lakes have returned to their liquid state over the past few days and once again little green houses are springing up all over the banks. Personally I still have a couple of days left to wait before I can get out there but I have plenty of writing to do and a bit of tackle maintenance to keep me busy until then. Just before the freeze up I was starting to get into the swing of things over at Monks pit. I had the twenty seven pound mirror that I wrote about, in the huge gale force winds and, the very next week, I managed to sneak out two more fish to add to the tally. Having found an area where I could get a bite I had returned to the same swim and clipped the fishing rods up using the same bank-side markers as the previous week. Luckily though, the weather was slightly more agreeable this time, although still extremely windy there had been a slight change in direction and it was predominately blowing over my shoulder, making the spodding of maggots and casting of PVA bags considerably easier. With the rigs in position I settled in for the night as all the bites seem to be during the hours of darkness in the winter on Monks. All the bites on the bottom anyway as, once the zigs start to kick into gear, the daytimes become a lot more productive. The first bite came at half past one, which is actually quite early and left me very hopeful for another one before dawn but it wasn’t to be because the next thing I knew was staring out at the sunrise. At twenty six pounds I was well happy with my result but another fish would really have been the icing on the cake. I stuck the kettle on for the first brew of the day but, before it had got to the boil, one of the remaining rods was away, a daytime bite at last! Although this fish was a bit smaller at just over twenty one pounds it gave me no end of grief, tangling in one of the other lines and, eventually, forcing me to go out in the boat to land it but at least I had a daylight photograph at the end of it, well worth a bit of mucking about on the water and getting cold and wet. My next trip unfortunately coincided with the start of a vicious cold snap and, as I packed up after a blank two nights, I could see big sheets of ice forming out in the middle of the lake which is not a good sign at all. I’d spent the entire time fishing headfirst into a biting Easterly wind with night time temperatures well below zero, I was certainly glad of my Thermotex jacket that session I can tell you, I practically live in the thing at the moment as it’s the warmest piece of fishing clothing I’ve ever owned. Once the wind died off though, it was odds on that the lake would freeze and the very next day I received a phone call to say the entire lake had iced over. Now, three weeks later, I am checking lines, tying new rigs and getting ready for a new assault and I can’t wait! With the winter looking like it might well be coming to an end all eyes are on the future. Thoughts of spring, albeit a bit premature, are in everybody’s minds and plans are being made for the season ahead. At this time of year I like to have a good old clean out of my tackle bags and check that everything is in tip top condition for the year ahead, after all, once the fishing really does get underway I am too busy to be bothered with routine maintenance and all I can think about is my next fish. Lines are one of the most important things and we rely on them totally but, all too often, we don’t give them the attention they deserve. I have been guilty of it so many times in the past and I can still remember years ago, on Wraysbury, losing the fish of a lifetime one spring session because I hadn’t bothered to check the line that had sat on my spool all winter. It doesn’t take long to strip off three spools of line and re-load them with brand new monofilament or braid. I do mine in the garden using a bucket of water to place the new spool in and a soft glove to hold tension on the line, preventing finger burns from the friction and helping to keep the correct tension on the new line. I simply set up the rod and wind it straight out of the bucket onto the spool. A spool of the new ‘Nan-Tech’ line costs under a tenner for a bulk spool that will easily load three reels which, I think, is a very small price to pay for total peace of mind. I had a hand in the development of this line, recommending a supplier and line type that I had previously used and then improving the finished product by increasing the suppleness and abrasion resistance of the line so I can honestly recommend this as the best monofilament I’ve ever used, if it wasn’t then I would still be trying to develop one that was! The TFG Chill Out bed-chair has been designed to be the most comfortable and pocket friendly bed about. Small enough to fit into any bivvy the chill out bed-chair is high on the performance chart. Designed to ensure maximum comfort, this superb range of beds and chairs are manufactured from the highest quality fabrics, top grade metals and premium components. Each mattress has been strung to guarantee full lumber support, every frame has been rigorously strength tested and each component has been precision engineered. Total Fishing Gear believes the Chill Out range represents the best value performance beds and chairs available. Dave Lane shows how to set up the bed-chair and Describes it features. Whist out fishing this weekend, I did get to try out some new boots that the nice people of Fishtec fishing tackle suppliers, sent me to test. I must say first impressions are very good. The TF Gear Thermo-Tex Boots are constructed of very light weight (although thick) rubber which seems more flexible than normal Wellington material, this makes them very comfortable and easy to wear for a long period of time. The TFG boots come with a removable fleece lining which took a bit of getting used to as you have to hold onto it while putting them on but once I’d figured this out they were great. Another advantage of this is when wading that little bit too deep… and the inside of the welly gets wet, it is easily removed, dried or washed. With the additional ‘pully strap’ on the top of the boot, comfort is at its most when needing to keep the draft out and tucking your trousers in. The super grip soles are very very good, solid and looks as if they shouldn’t wear down by walking on concrete or rocks. List price is £69.99 but you can get them from the Fishtec website for £59.99 – a bit steep for a pair of glorified wellies but if you’re serious about winter fishing these would be ideal. Click here TF Gear Boots to view. When your rod rings are full of ice and your landing net frozen firmly to the ground how are you really feeling? I would expect that, like I have been many times in the past, either too cold to fish effectively or too wrapped in mountainous layers of clothing to be able to move. As the sun dips and that one chance of a big fish approaches, it is often the cold rather than the prospects of success that drives us home early. Not any-more. The TFGear Thermo-Tex Extreme jacket and trousers are made for just such occasions and the days of near hypothermia each time we venture out in the winter are behind us. The clothing is made from a lightweight, breathable, waterproof material that is padded and gives you instant warmth when worn. It really is like getting into a snug sleeping bag but with the advantage that you still have excellent mobility. The jacket is a simple but effective design with two deep pockets (ideal for hand warming), on the outside and has a single breast pocket and two large mesh poacher’s pockets on the inside. It is very warm, a sensible length and the high collar and hood mean you can get full protection whatever the weather, if only I’d had this coat during last year’s record breaking winter! Although it is designed for extreme temperature use, it is not too warm for general use and, of course, your under garments can be adjusted accordingly to meet temperature demands. The trousers show that great care and attention has gone into their design. Made from the same excellent material they are high backed to keep your lower back warm being held up with braces. The usual struggle to don over trousers is minimised by the long side zips at the top and bottom of the legs, all of these are double secured with Velcro strips. There is also a long front zip that allows easy access for those calls of nature, something that some other manufacturers have annoyingly ignored. There are two very effective lined hand-warmer pockets and a couple of smaller breast pockets for your odds and ends. Like the jacket it can be summed up in one word – toasty! When you are not hunkered down against snow, ice or driving rain, and let’s be honest, not many of us head out coarse fishing in such conditions, the jacket and trousers come with their own surprisingly small bags and can be folded, or stuffed into them for carriage or storage. Either of these items will enhance your cold weather fishing and, as a pair, they mean that you can face whatever the conditions throw at you, I highly recommend both articles. An unusually story, but something that does get you thinking – We recently had an email to our TFG customer services account with the attached story. ‘An unusual event on Friday 23 Sept regarding the landing of a lovely 30 pound carp at Lake John, Waltham Abbey’. ‘As the gates were due to shut at 7.00pm, I was beginning to start packing up at 6.00 so pulled in my carp rods then cast out my light float fishing rod towards the middle of the lake from Peg 38. This was set at a depth of about 2 1/2 foot fishing for skimmers. I then had a bite and connected with a heavy fish. Playing it very carefully for about 20 minutes and getting the fish within about 30 feet from the bank, I saw my float then to my astonishment I saw another float a couple of feet below mine. I immediately thought that I had crossed lines with an angler to my right. However, he had already left and there was no one else. I reeled in a bit more but then realised that I could not land it because the float would obviously be trapped at the end of my rod with still about 20 feet of line to the fish (which I had yet to see, but knew was a decent size judging by the swirl of water below the surface). By this time the angler on the next peg to the left had come round to see what I was hooked into. We then agreed that the only thing to do was for me to slowly walk back 20 feet to enable him to net the fish. I proceeded to do this with my heart thumping, given that my main line was only 6 lb and a size 12 hook which was obviously going to take a great deal of strain at this final stage. Thank God he netted it safely and then commented that it was a very big fish. I had not seen the size of the carp as the reeds and bank had been obscuring my view. Imagine my surprise on realising how big the fish was (my language was a little colourful at this stage out of relief and pride). I am very grateful to ‘John fromEnfield’ who kept his cool and enabled me to land my PB even though it was not on my bait. It was amazing that my hook had somehow tangled with the original line and had held fast without parting. What are the odds on this happening again?!! A day to remember. Yet another good day at Lake Johnas I had already caught carp of 14 and 18 pounds using some of my favourite carp fishing tackle. 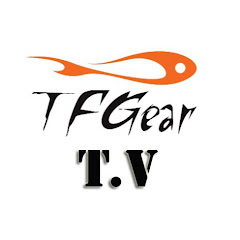 I would like to let you know that I can recommend and congratulate you on your TF-Gear Allrounder fishing rod. It offers me the chance to fish any method with just one rod. An estate lake close to my home has long held a big head of bream but never, until recent years, did it produce fish to interest a single minded specimen hunter like me. The average fish was always around 4lb and 6lb was about the top limit. But, in recent years, that average has apparently started to climb quite significantly, so much so that I was hearing rumours of regular doubles being taken, with fish to over 12lb certainly genuine. Now, while 12lb is still nowhere near the top end of bream weights these days, it is still a very worthwhile target and definitely rates as a worthwhile specimen in my eyes. Having taken delivery of three of the gorgeous new TFG Classic Nan Tec barbel fishing rods, I decided to put them to use as feeder rods, using the Avon top joint rather than the separate quiver top. A bream session was planned, and as the water is close to home I took advantage by driving there on the afternoon before my session to introduce bait into the selected area. In an hour, using a Spomb, I had fired out a large bucket of mixed Pigeon mix, corn, stewed wheat and TFG mixed halibut pellets. I also included a few 15mm fishmeal boilies. The following morning, it took a fair while to set my camp and it was around midday before I was casting the first bait into position, after having introduced a further twenty Spomb loads of bait. That was baited with a boilie wrapped in paste, and accompanied by a method ball. As I set up my second rod, which was to be baited with lobworm/corn cocktail, the alarm on the first sounded and line started to disappear off the free spool reel. The bait had only been in place about two minutes! As soon as I struck, I knew I was attached to a fair fish but, typical of bream, it never gave me any anxious moments. Soon, I was weighing my first fish of the session, 8lb 6ozs, and a good start. Before rebating, I cast the lobworm rod into position and then attached a new boilie to the first rod. With that one in place, I turned my attention to rod number three, which was to have a soft pellet hookbait. Just as I was moulding the method ball in place, the lob worm rod was off in a fast run. This was ridiculous! Soon, I was weighing a second 8lb plus fish. Fifteen minutes later, with all three rods out together at last, I was able to contemplate a cup of tea and fired up the kettle. However, before it had time to boil I had to turn it off again as bream number three came to call. 9lb 3ozs this one registered and did give me a decent scrap for a change. Just as that was being slipped back, a fourth bream had galloped off with a boilie. A few minutes later, and less than an hour after the first cast, I was weighing a fourth fish, this time 7lb 14ozs. After that fish, I did have a couple of hours very welcome respite before another flurry of action commenced, and by dusk another four fish had been netted. These fish were significantly bigger, at 9-2, 9-9, 9-13 and the fish that turned out the biggest of the session at 10lb 7ozs. From then until about 11.00pm there were four more fish before the action stopped completely and I was able to get a little sleep. In a hectic afternoon and evening session I’d landed a surprising 12 bream with a very respectable average weight. The action started again at first light, but during the daylight hours fish only came spasmodically. In fact, only two more bream came before dark, although I did land a solitary five pound tench and get bitten off by a big pike that had taken a liking to a boilie. After dark, though, the action turned absolutely manic. I won’t bore you with a blow by blow account but, during the night I was landing fish about every forty minutes. By daybreak, I’d had no sleep whatsoever and was absolutely knackered. In total, I’d landed 27 bream from 7lb to 10-7 plus the tench, approaching 200lbs in total. Looking back on the session, it was great fun but obviously the chances of a really outsize bream appear to be limited by the sheer numbers of fish. But with bream you never really know. Anglers who have spent far more time than me after bream have told me that it’s very common for a huge fish to suddenly show up amongst much lesser individuals. I shall certainly go back and hopefully improve on my 10-7 result.